Prospective Ph.D. students: I am looking for outstanding and highly motivated Ph.D. students to work together on (multi-agent) reinforcement learning, unsupervised learning and various data mining topics. Please email me with your CV and transcripts. SJTU 2-day tutorial, Oct. 2018. SIGIR 3-hour tutorial, Jul. 2018. Demos in NIPS 2017 & AAAI 2018. Research Intern, Data Science Group, supervised by Jun Wang and Rael Cline. Research Consultant, Machine Learning and Perception Group, supervised by Ulrich Paquet and Katja Hofmann. Research Intern, Machine Learning and Perception Group, supervised by Ulrich Paquet and Thore Graepel. Software Engineering Intern, Strategic Technology Group, supervised by Jie Yang and Vanja Josifovski. Research Intern, Social Software Unit, supervised by Alexandre Passant. 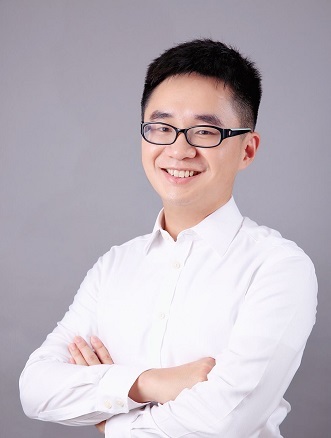 Research Intern, Internet Economics & Computational Ads Group, supervised by Bin Gao and Tie-Yan Liu. Acemap Knowledge Graph (AceKG), supported by Acemap, is now open to everyone for research and non-commercial use. We hope this knowledge graph will benefit the research and development for academic data mining. Data description and benchmarking paper. The first public large-scale Real-time bidding advertising log dataset, it is released after iPinYou 2013 RTB competition. We help publish the dataset on the UCL server. Data analysis and benchmarking paper. This dataset is collected in May 2014 based on the CrunchBase offical data API. It contains the investment records of VC firms and individual partners. Real-time bidding strategy optimization for demand side platforms. Ranking top retrieved Web pages from Yahoo! search engine. Large-scale deep hierarchy text classification challenge. I will serve as a sponsorship chair in CIKM 2019. Two full papers and one demo paper accapted in AAAI 2019. I am honored to be granted Qingcheng Award from Alibaba. Two papers on RL and AutoML accepted in ICML 2018. I will give a tutorial on GANs for IR in SIGIR 2018. Our AM-GAN paper gets accepted in ICLR 2018. I will serve as a senior PC member in SIGIR 2018. Our MAgent platform is presented in NIPS 2017. Visited NEU, MIT and Harvard and give talks "GANs with Reinforcement Learning". Papers accepted in AAAI 2018, WSDM 2018 and TKDE 2018. Two papers accepted in CIKM 2017. Papers accepted in SIGIR, IJCAI and KDD 2017. A paper on medical informatics is accepted in WWW 2017. A paper on combining GAN and PG is accepted in AAAI 2017. Two papers on RTB display advertising bidding strategies are accepted in WSDM 2017. Our paper on DNN for ad click prediction is accepted in ICDM 2016. Start to work in SJTU. Serveral papers and one tutorial are accepted. A full paper "Bid-aware Gradient Descent for Unbiased Learning with Censored Data in Display Advertising" is accepted in KDD 2016. Two full papers about user response modelling are accepted in ECIR 2016: 1. "Deep Learning over Multi-Field Categorical Data: A Case Study on User Response Prediction"; 2. "Implicit Look-alike Modelling in Display Ads: Transfer Collaborative Filtering to CTR Estimation". My internship work at Microsoft Research Cambridge "Collective Noise Contrastive Estimation for Policy Transfer Learning" is accepted as a full paper in AAAI 2016. A full paper "Feedback Control of Real-Time Display Advertising" is accepted in WSDM 2016. A full paper "Risk-Hedged Venture Capital Investment Recommendation" is accepted in RecSys 2015. My internship work at Google "Annotating Needles in the Haystack without Looking: Product Information Extraction from Emails" is accepted as a full paper in KDD 2015. A full paper "Statistical Arbitrage Mining for Display Advertising" is accepted in KDD 2015. I will be a program committee member in WSDM 2016. I start to serve as a part-time research consultant on the project of xbox music recommendation at Microsoft Research Cambridge from now to the end of Jun. 2015. We give a talk "Optimal Real-Time Bidding for Display Advertising" at Microsoft Research Cambridge. A full paper "Optimal Real-Time Bidding for Display Advertising" is accepted in KDD 2014. I will be a research intern at Microsoft Research Cambridge from September to November 2014, doing research about large-scale Bayesian inference. A journal paper "Bid Keyword Suggestion in Sponsored Search based on Competitiveness and Relevance" is accepted in IPM 2014. This is based on my first internship project at Microsoft. We host the data server (located in UK) to publish the iPinYou RTB dataset. (Dataset link) To our knowledge, this is the first published RTB ads research dataset. Our team "UCL-CA" wins the 3rd position in "iPinyou Real-Time Bidding DSP Strategy Optimization" contest (season 2). The work "An Empirical Study of Top-N Recommendation for Venture Finance" is accepted as a 4-page short paper in CIKM 2013. This might be the first work formally bridging collaborative filtering techniques and venture finance. A full paper "Interactive Collaborative Filtering" is accepted in CIKM 2013. A full paper "To Personalize or Not: A Risk Management Perspective" is accepted in RecSys 2013. A 4-page short paper "Optimizing Top-N Collaborative Filtering via Dynamic Negative Item Sampling" is accepted in SIGIR 2013. I will be an intern at Google Mountain View from August to November, 2013, doing research about personalization in recommender systems.